As part of a contest that invited filmmakers to create music videos of Elton John’s hit songs, the video for “Tiny Dancer” is classically LA, showing the city from the eyes of locals as they drive through its streets. 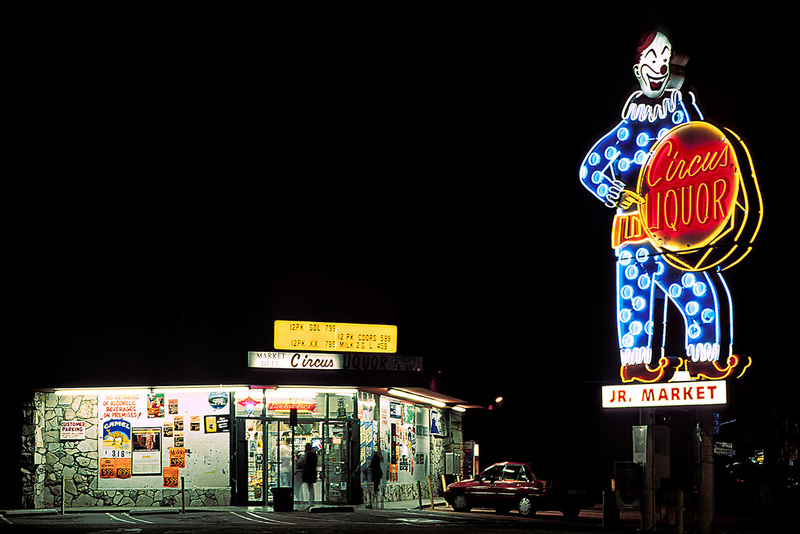 From the the iconic Circus Liquor sign to the packed 405 freeway, the video captures Los Angeles in a real way and manages to make the most mundane aspects of the city look beautiful. Directed by Max Weiland, the video captures a few different personas, from the valet driver who takes a spin in a fancy car to a Marilyn Monroe impersonator and a man with a pet snake. These people capture LA’s personality in a unique and creative way, laying out all of the bizarre people that populate the city. Songwriter Bernie Taupin said that the song was inspired by the people they met when they came to California in the 1970s. “It seemed like sunshine just radiated from the populace,” he told American Songwriter. The new video is a part of The Cut’s series inviting filmmakers to create music videos for Elton John songs. The series is sponsored by YouTube and has three music videos including Tiny Dancer, Benny and the Jets, and Rocket Man. The contest was inspired by the 50th anniversary of Elton John and Bernie Taupin’s musical partnership. More information, along with the other two videos, can be found here.